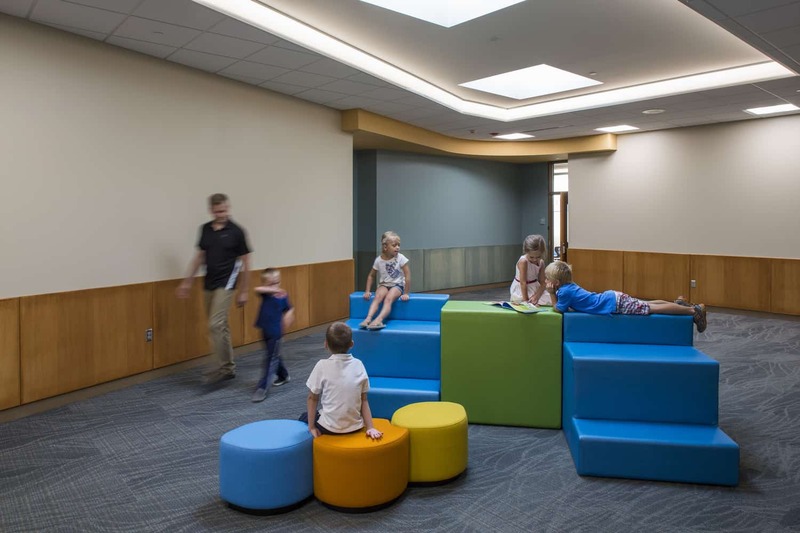 Click here to see a video on the creation of Karner Blue. 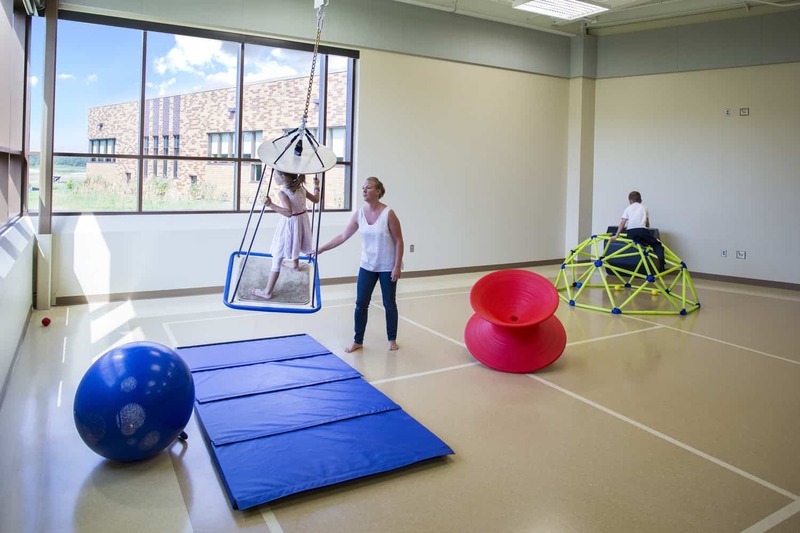 When Northeast Metro Intermediate School District 916 embarked on a course to build a school specifically designed for children with severe autism and emotional and behavioral disorders, there were no plans to follow as no other school like it was known to exist. 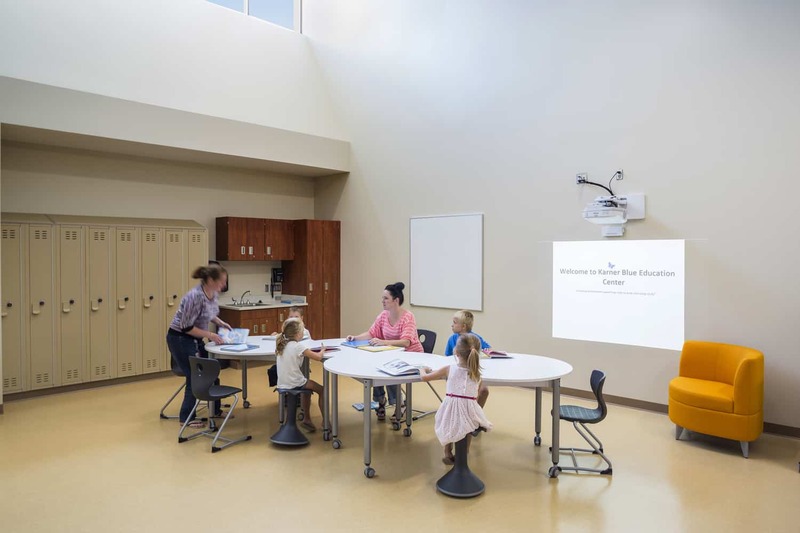 Starting with a clean slate, teachers, administration and staff brought in images and ideas of their hopes, dreams, desires, and needs, and the design began to evolve from there. 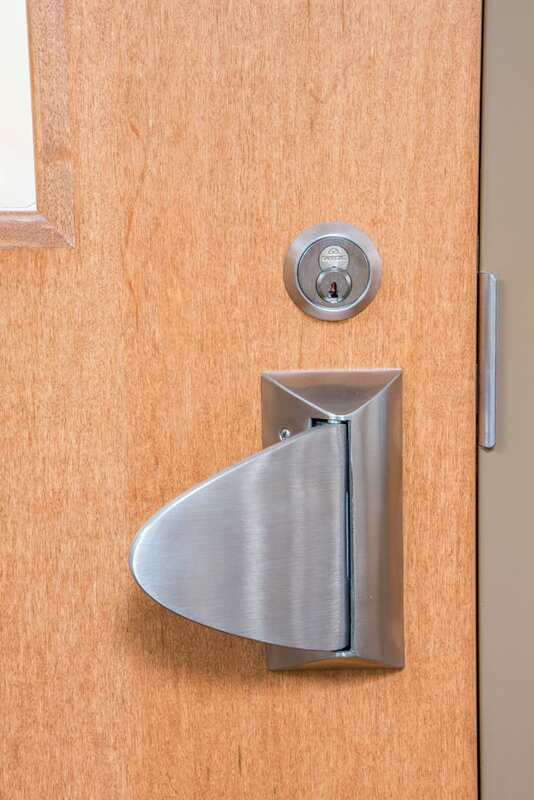 The solution is like nothing seen previously in elementary school design. 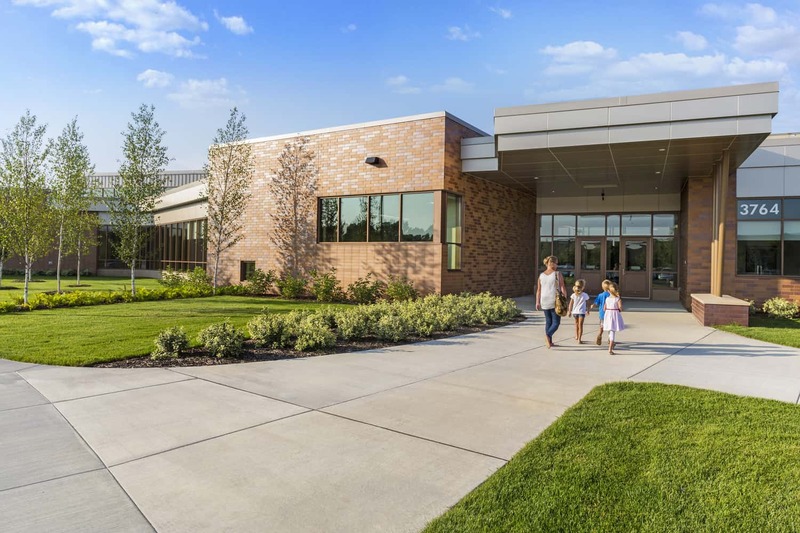 Forgoing the long, double-loaded corridors typical of schools that can present a distraction to this special population, the design team settled on distinctive pods of classrooms to accommodate the different populations the school serves. 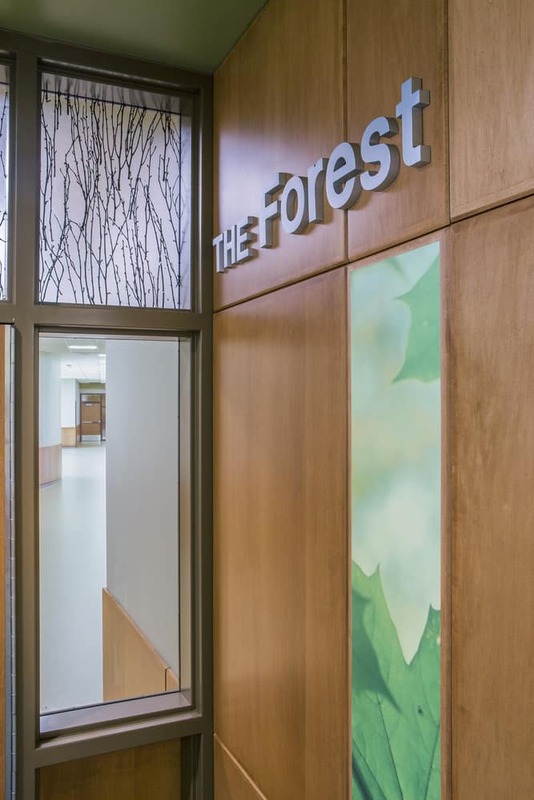 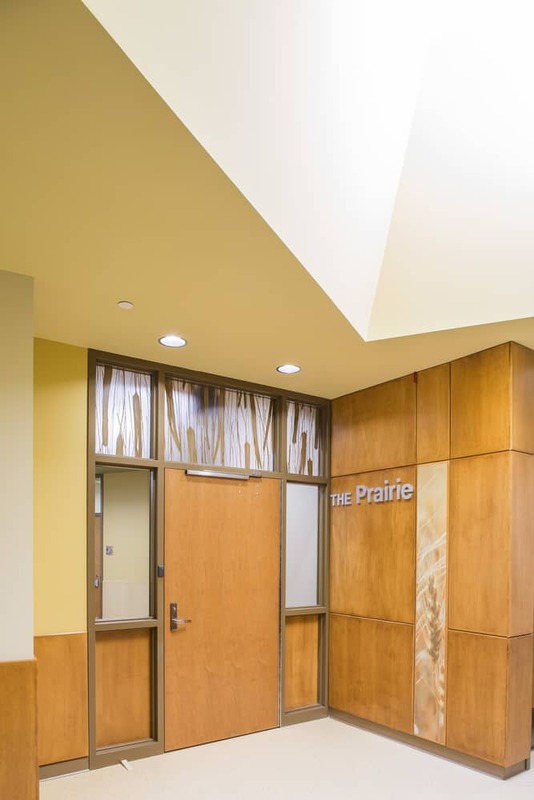 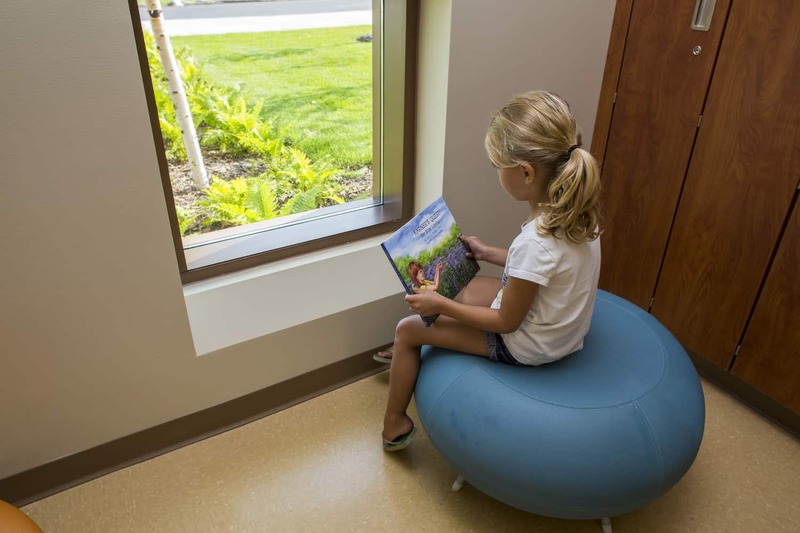 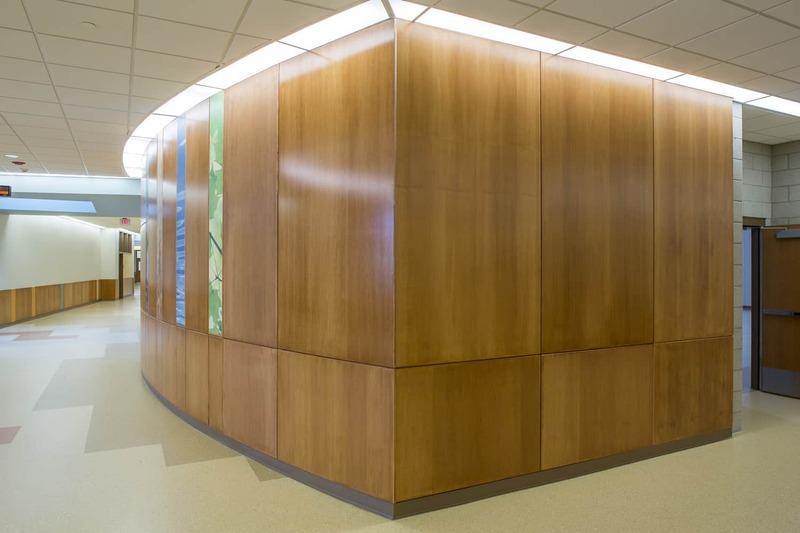 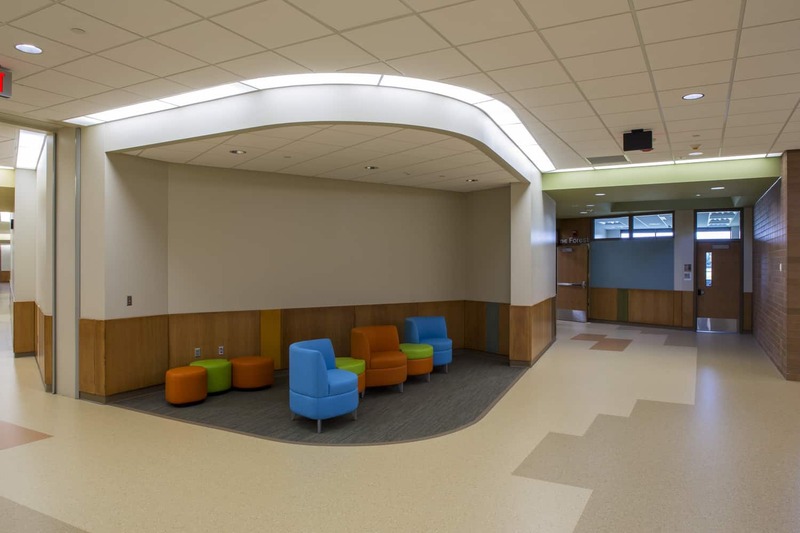 Curved hallways break the line of sight that could entice children to run down corridors, while daylighting strategies minimize the need for artificial lighting and the noise they can generate. 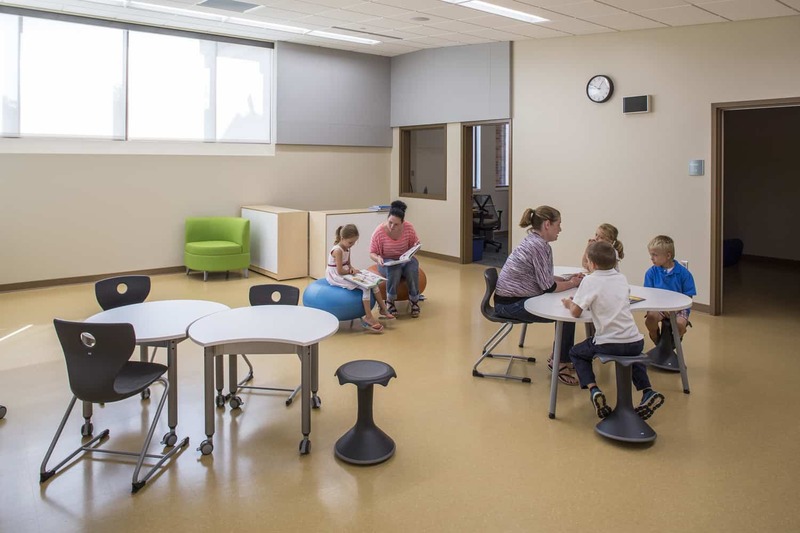 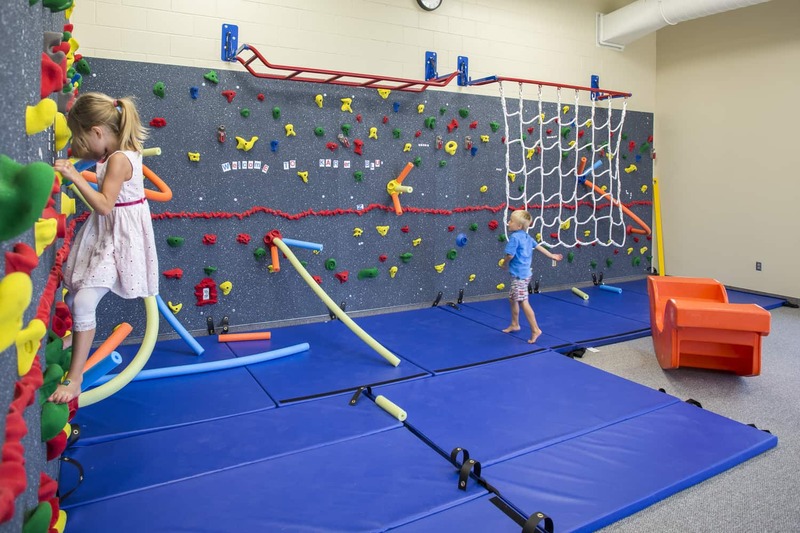 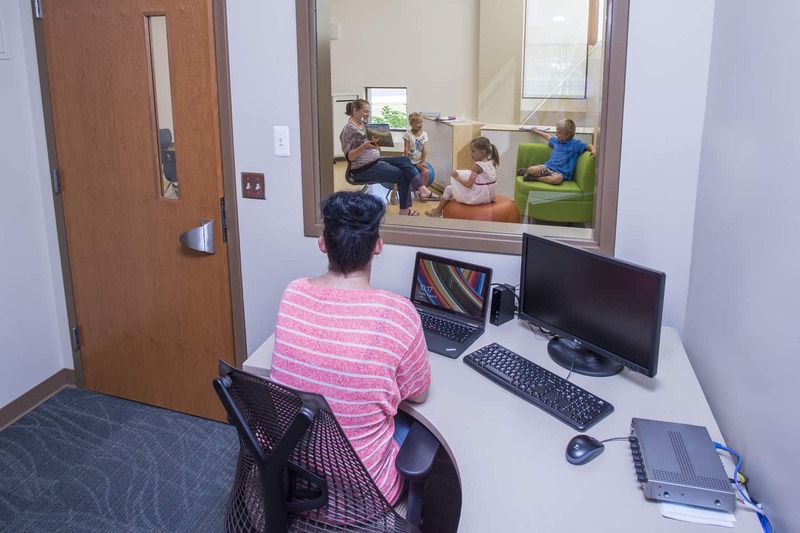 Seating arrangements, windows, common areas and breakout rooms provide a number of options for children who need to break from group learning and find composure. 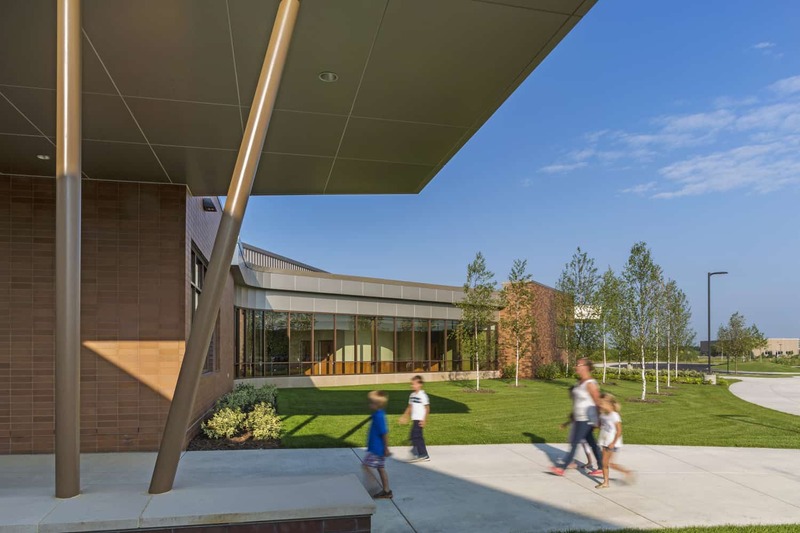 Multiple entrances reduce the crowd, and fear, students can experience when entering school. 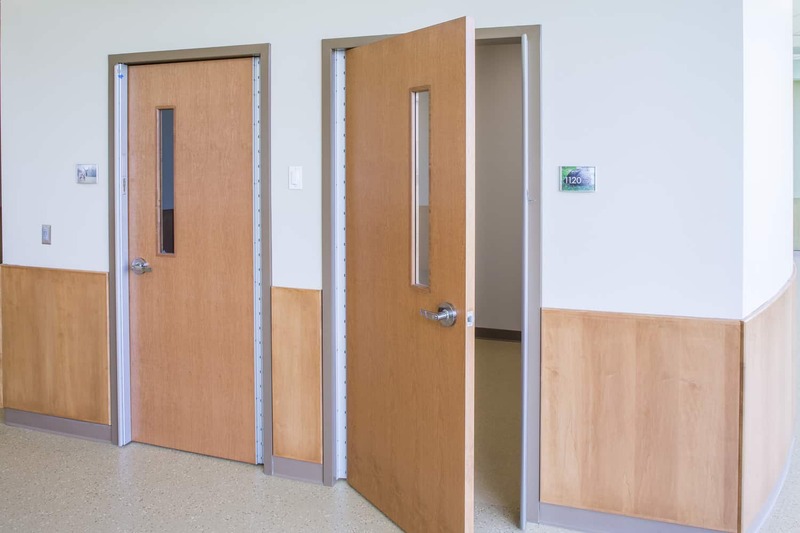 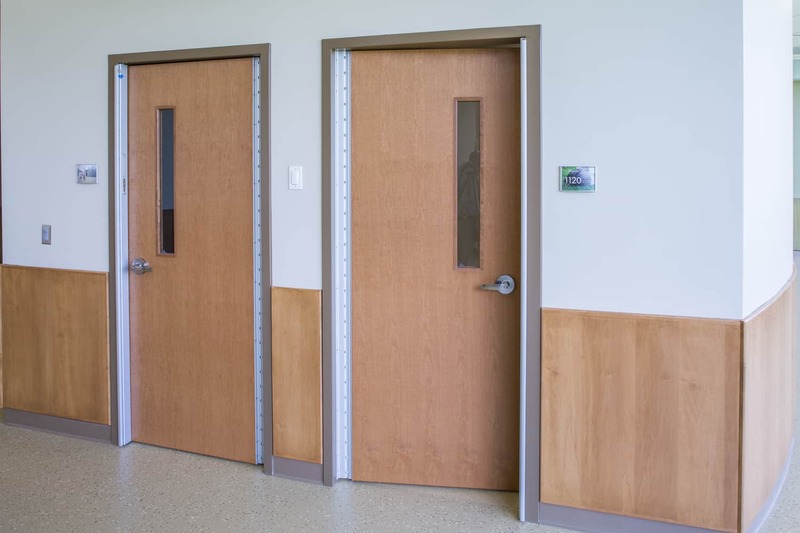 Safety elements normally found in behavioral hospitals are incorporated throughout the center.